Dry skin, fatigue, hair loss, joint pain: These and other ailments may indicate a variety of conditions, but they’re also common hypothyroidism symptoms in women. Hypothyroidism symptoms in women can include carpal tunnel syndrome, dry skin, hair loss, constipation, and joint pain—all of which can point to other conditions, too. That's why it's important to get tested if hypothyroidism is suspected. Hormones are chemical messengers that are essential for many of the body`s functions. The butterfly-shaped thyroid gland in your neck is one of the key regulators of hormone function in the body and plays a crucial role in growth, metabolism, and mood. Having hypothyroidism—also known as a “low” or “underactive” thyroid—means that the thyroid gland is not producing enough hormones. 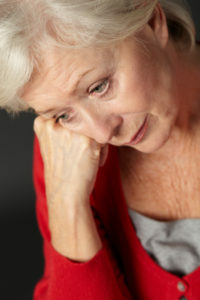 Hypothyroidism symptoms in women are fairly common among seniors. That’s a pretty long list, and of course each and every one of those symptoms can be caused by something other than hypothyroidism. That’s why it’s important to be tested to confirm the diagnosis. Besides age, risk factors for the condition include: other family members with hypothyroidism; having an autoimmune condition such as type 1 diabetes; or having previous difficulty with your thyroid, such as thyroid cancer. The presence of hypothyroidism can be confirmed with a blood test. It is typically identified when someone visits their family doctor for symptoms of depression combined with any number of the other symptoms listed above. Often, the doctor will then order blood tests that include measures of hormones, usually thyroid stimulating hormone (TSH), which is produced by the hypothalamus in the brain, and hormones produced by the thyroid gland itself, such as triiodothyronine (T3) or thyroxine (T4). Fortunately, hypothyroidism is fairly easy to treat. Typically, your doctor will give you a synthetic version of the thyroid hormone levothyroxine. 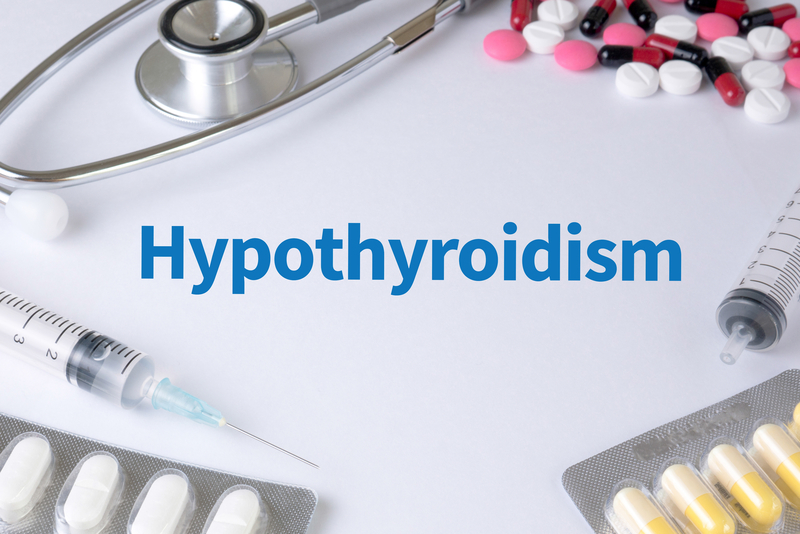 The good news is that most people are able to find a levothyroxine dose that treats their hypothyroidism without producing any unwanted side effects. The trick is to stick with your treatment and talk to your doctor if you experience any uncomfortable symptoms. Some people actually experience depression when their thyroid gland is overactive, a condition known as hyperthyroidism. This is less common than depression associated with hypothyroidism, but it can happen. So, if you have any of the symptoms listed above combined with depression, your thyroid could still be the culprit. The same blood tests used to detect hypothyroidism will also uncover hyperthyroidism. For hyperthyroidism, medications that reduce the activity of the thyroid are used. In some cases, the thyroid gland itself needs to be surgically removed, such as when hyperthyroidism is caused by cancer growing in the gland. In this case, you will be given synthetic thyroid hormone to take after your surgery. Keep in mind that depression can occur alongside hypothyroidism. So, if your hypothyroidism is being treated, and all your symptoms go away except for your depression, it is possible that there is something else going on. At this point, it would be wise to speak with your doctor about being evaluated for depression as well and discussing how it might be treated. anxiety, appetite, blood cholesterol, brain, cancer, cholesterol, constipation, depression, diabetes, dry skin, for depression, hair loss, hormone, hyperthyroidism, hypothyroidism, hypothyroidism symptoms in women, increased appetite, insomnia 2, irregular menstrual periods, memory, metabolism, mood, muscle, muscle aches, pain, side effects, skin, symptoms of depression, thyroid, thyroid cancer, thyroid hormone, type 1 diabetes, underactive thyroid, weight gain.